Online ARPG developed by New Zealand's indie game developer Grinding Gear Games. It is called POE for short. Basically, you can enjoy it for free, and it is served as part of a fee-based service that sells inventory slots and visual items. A closed beta test was conducted from 2011 to mid-January 2013, and after nine months of open beta testing, the service was officially launched in October 2013. After the release, massive content updates are being made, and technical updates are continuing. Act 4 has been added since version 2.0 was released in July 2015, and the end game system has been greatly expanded in 2.4 since. In August 2017, it was upgraded to version 3.0, with 6 Acts from Act 5 to 10 added, and at the same time it was released as Xbox One. Other features that distinguish it from other ARPGs include free build development and correspondingly large skill trees. There are more than 1300 skill nodes, and so on. There are 7 jobs, but the starting point and details are different. All share one skill tree and all skills and items are available, so you can build any build that does not match the class and you can actually build all kinds of extraordinary builds exist. In addition, there are three superclasses called Ascendancy for each class (there is one special case). Even with the same build, the performance of the build may change depending on how you take the ascendancy. There are no gold or other basic currencies, and all transactions with an NPC or other user are made through barter. Instead, various kinds of Orb items used to improve equipment replace the role of money. 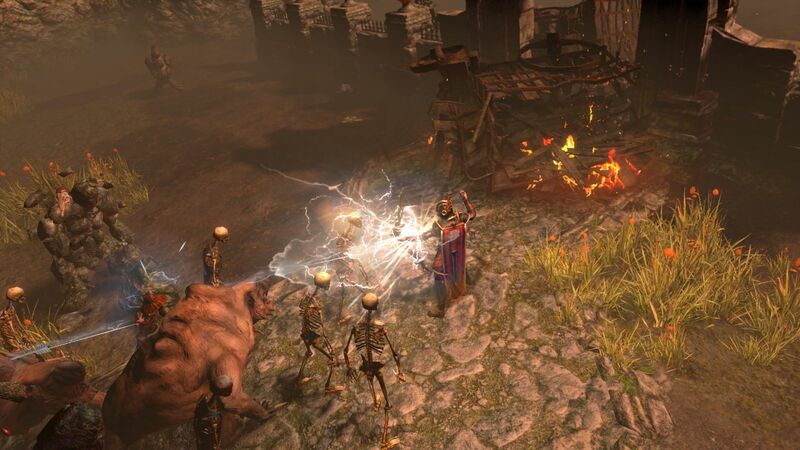 Playing a game like Path of Exile can absorb enough of your time without having to worry about extra currency. PoE Orbs are what every Exile needs in their backpack, as the benefits to your in-game strength and finances can be astounding thanks to these little round currency balls.